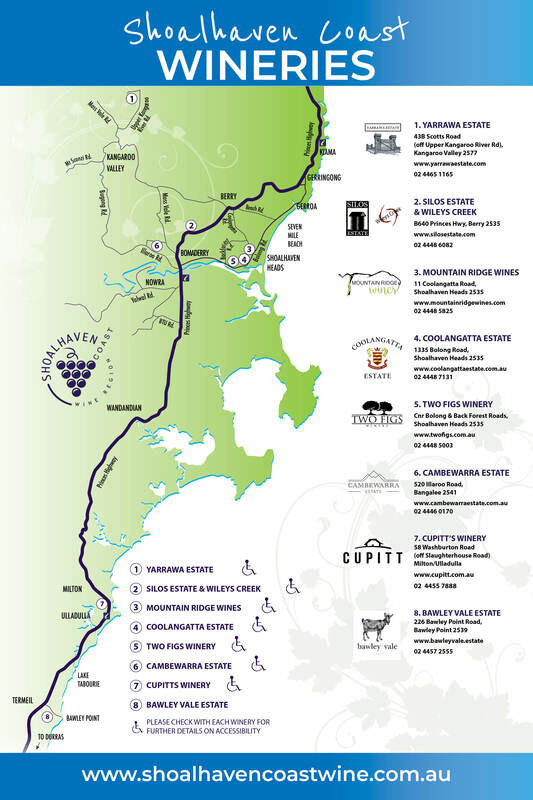 Silos Estate and Wileys Creek - Shoalhaven Coast Vineyards and Wineries | Shoalhaven Coast Wine Industry Association Inc.Shoalhaven Coast Vineyards and Wineries | Shoalhaven Coast Wine Industry Association Inc. Silos Estate offers a truly unique experience. Whether you have come to relax in our self catering accommodation overlooking our vineyards, tour the winery; sample our wines, celebrate your wedding or other significant event or enjoy a meal in the restaurant – you can do it all. Visit our award winning cellar door & sample our unique wine. Tracing its history back to 1870, Silos Estate has been producing a range of premium wines that emphasise the unique characteristics of the Shoalhaven region while its Wileys Creek label sources fruit from other wine growing regions in Australia. You can also browse the alpaca centre & gift shop – since 2011, Silos Estate has established a working alpaca farm, and now hosts the largest outlet on the South Coast for local alpaca producers – the Berry Alpaca Store. Supplying a range of produce from wool all the way through to scarves, pillows and doonas, we also supply a limited range of meat products (subject to season). All alpaca produce is available for purchase or can be ordered and shipped. Nestled amongst sprawling vineyards and landscaped grounds, Silos Estate is a very special place to stay. Magnificent views of rolling green hills, the Great Dividing Range escarpment and of course the vines, ensure wonderful relaxation in our boutique accommodation cottages. All breakfast supplies included. Choose between a spa cottage or sitting room. At Silos Restaurant our food is contemporary. Our menus reflect the way we like to dine. Located on the NSW South Coast, just on the outskirts of picturesque Berry our spectacularly positioned ‘between the mountains and the coast’ Estate is a contemporary and stylish venue with unique countryside views. It makes a superb backdrop Whether it be a romantic dinner for two, celebrating a wedding day, or inspiring your clients when you hold your next company function, Silos Estate will cater for all of your needs. Imagine your event at Silos Estate, catered for by a team of people dedicated to making your event run smoothly. The boutique accommodation, winery and Silos Restaurant combined with the beautiful grounds and accommodation provide an ideal country location and can cater for a range of guest numbers.